Really happy with the claws, they were rather difficult to do. I like the freehand on the back of the carapace. Without it i think it&#39;d be a bit dull and boring. I still have to buy some water effects and pour it into the base. 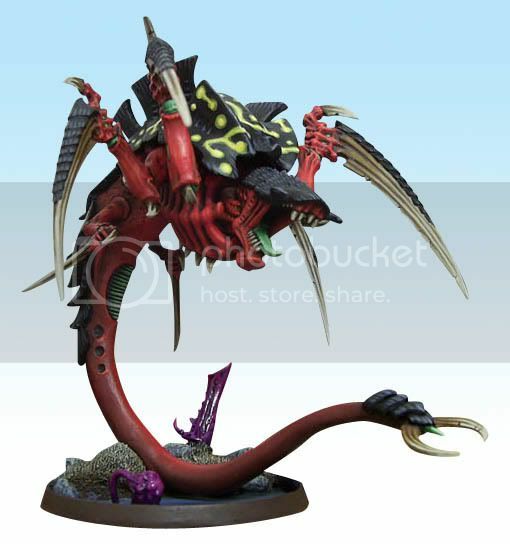 And your making me want to play tyranids - curse you! Nice job! The freehand looks great, as do those claws...the whole thing looks great! Nice conversion with a very nice paint job. No, I&#39;m kidding, really. Excellent work as always. Terrific work and very inspiring. Great stuff, bud. 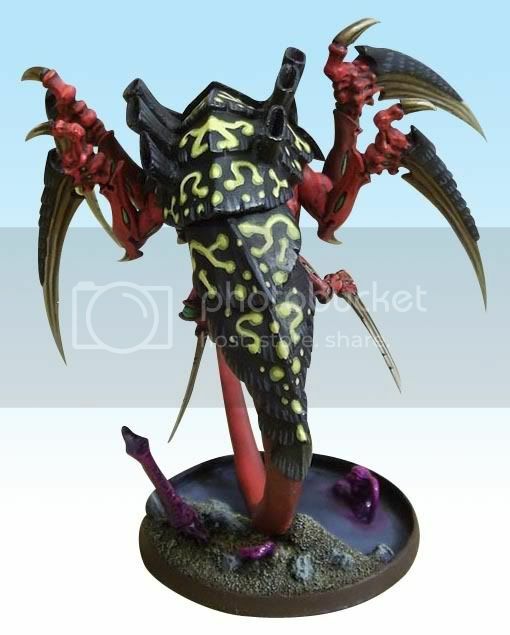 Love the claws, but I&#39;m not so keen on the yellow markings on his carapace. 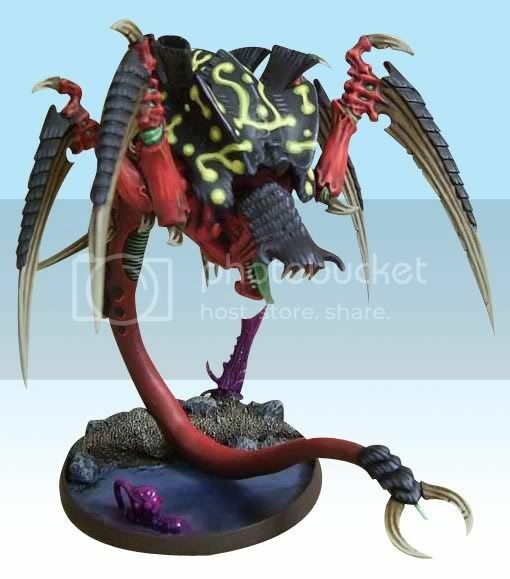 I think its an amazing paintjob, deserving of such a well constructed conversion. But I think I&#39;ve got to side with Tom Norman on this one, your freehand work is top notch, and it really ties your amry together well wil a dangerous feel. But I sort of think the red terror could use more....red? Or maybe the freehand markings could have been red. Although I understand you&#39;d want it to fit in with the rest of your army, and removing the yellow markings could make it seem out of place. 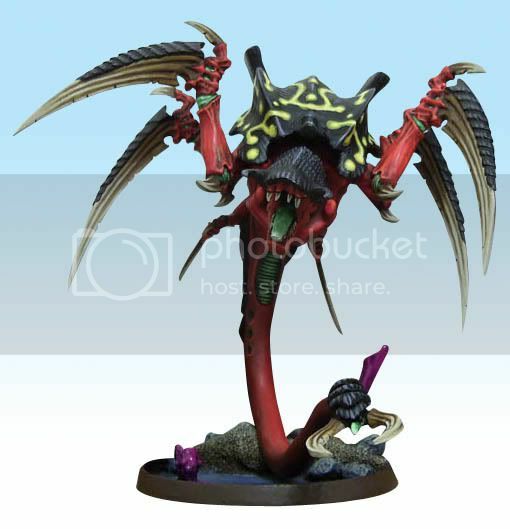 But I sort of have trouble seeing it as anything more than a snakey carnifex, since it so perfectly fits in with the rest of your army&#39;s colours. I really like the yellow markings. It does need to tie in with the rest of your force and I think without the markings it would stand out in a bad way and would look pretty plain, even with the rest of the model looking great. I&#39;m really looking forward to seeing it once you&#39;ve finished the base. Great work Gareth!